While this was a sponsored opportunity from Nike, all content and opinions expressed here are my own. 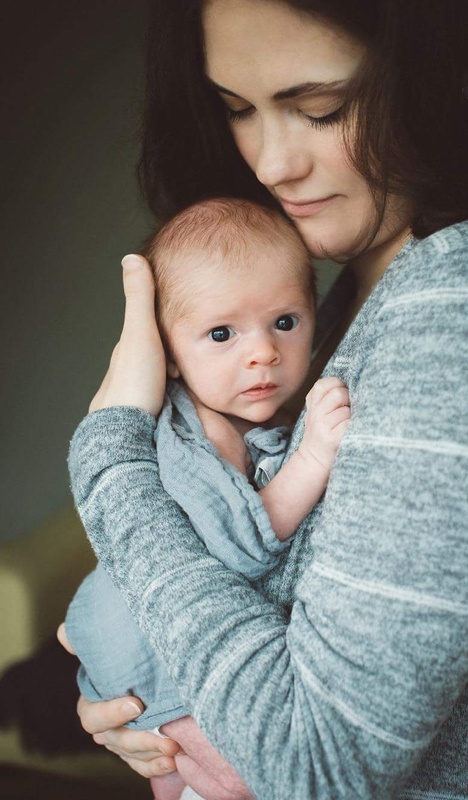 I’m just getting back on track – or finding a whole new one – after the birth of baby Stanley Atticus five weeks ago. Labour went according to plan – home birth in the pool in my dining room. (If you are pregnant and get the option of giving birth in a pool take it!) It was longer than I expected, but totally uncomplicated, and I felt completely physically fine again within a couple of days. The general advice from doctors is to wait until after your 6-week postnatal check up to exercise though so I’ve really been having to resist the urge to get out running again. I’ve got myself some new running shoes, which I’m testing out with walks in the park with the little guy. We’re lucky enough to be trialling the new Nike Epic React shoes – the latest addition to Nike’s great running gear collection. Three years in development, Epic React are said to be Nike’s most durable running shoes, which should see me from my first (baby!) steps back in to running right through to my first post-baby marathon. I’ll add here that, while I’m loving being a mum, I’m not the first to notice that it can be draining at times. The unpredictability of it all has come as a bit of a surprise. I could probably manage easily on six hours sleep if only I knew when those six hours were going to be! As it is, Stanley is sleeping well so far but it’s inevitably sporadic (or seems to be). I’m keeping a sleep diary for him and trying to work out if there’s a pattern so I can at least pretend to plan my time sometimes. Finding time for self-care is also an issue. Grabbing a shower when he has an unexpected nap or is content in his bouncer is my new norm. Trying to look nice (or at least not absolutely off beam!) is part of the new-mum deal too. Luckily for me, he arrived a week late so I had time to curate my wardrobe a bit and got myself some simple but hopefully stylish clothes for feeding and hanging out in without feeling like a sloth. My image was those American TV shows where people put leisure wear on when they get home from work (lounge wear but not baggy old track pants – you know the look!) Totally unrealistic usually but it gave me a vague framework for what to wear. 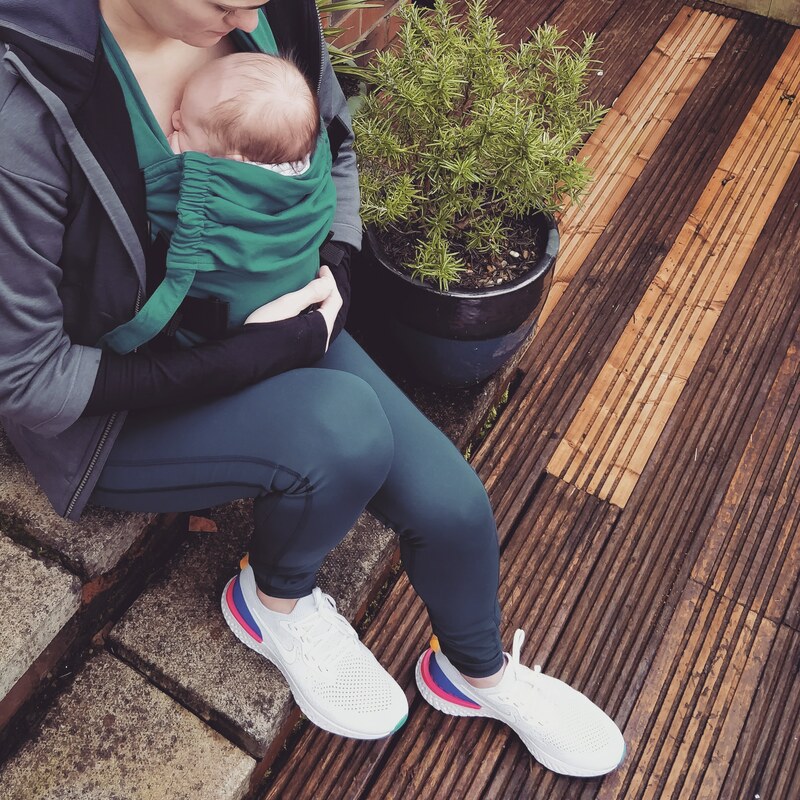 It doesn’t work every day but when it does and I can take him for a stroll around the duck pond with my comfy and super-styling Nikes on, I feel like I’m winning at this mum thing. There are days when it doesn’t quite work out this way so I’m taking pleasure in every little moment – though I’ll be the first to admit that some moments are more pleasurable than others. I’ll save the wee, poo and ‘what, you’re hungry AGAIN?’ stories for another time! Great running gear, it looks good on you! Plus, March is exactly the right moment to push your limits 😛 I’m also training for a half marathon with SportMe marathon trainer which calculates all the run details, including elevation and calories burned. Its a really great article. i like your idea.. and a baby is so cute looking.. too much helpful for all mothers..Thank you for share.. Now i will share this post.